From The Shelby Star, 1999. Photos by Jeff Melton. The School’s name is carved in Indiana limestone. CLIFFSIDE – From a rickety corn crib to a governor’s mansion, a building’s character can be defined as much by its users and uses as it can by the boards or bricks and mortar that put it together. Cliffside School is identified by the mass of steel, concrete and brick riding a high ridge as if on the crest of a wave amid a sea of rolling hills in southeast Rutherford County. But it is also identified strongly by what it has meant to the community, said Phillip White. “There’s a lot of sentiment for this building,” said White, principal at the school for 30 years, but more than that – its friend and emotional caretaker. It was White who paved the road to getting the post-World War I masterpiece listed on the National Register of Historic Places last year. His love shows as he talks about the old building like it is a family member. Marking 77 years in 1999, Cliffside School’s history as the oldest school building still in use in the county, and its longest continuously operating school, sets it apart. So does its private origin, with roots deep in the Haynes textile patriarchy, and its architecture—the oldest known example of Classical Revival style from that era in the region, designed by Louis H. Asbury, who later designed the Rutherford County Courthouse. The bookcase is an original. 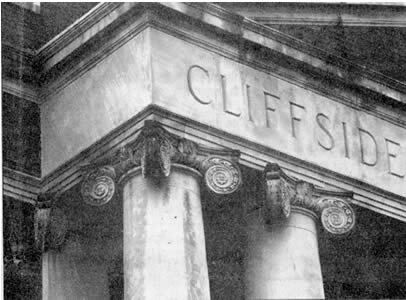 Nearing the first anniversary, Jan. 26, of Cliffside Public School’s naming to the prestigious National Register, White looks with pride at the school’s legacy and sees a bright future for it. Raleigh Rutherford Haynes really valued an education, he said. But after the mill founder’s death in 1917, it was his son, Charles H. Haynes, who carried his father’s dream for the school to fulfillment. It was bought by Rutherford County Board of Education in 1933 for $125,000. As a new building in 1922, Cliffside Public School reigned as king of modern, up-to-date buildings in Rutherford County, a title that likely held up in many of its neighboring counties. Stately but inviting Classical Revival, trimmed in proper Indiana limestone, the multi-colored earth tones of nearly one million brick soften its looming presence. It was a giant step up from the second floor of the mill store, and much better than a section of the mill that was once set aside to teach the children of employees. “Mr. Haynes spared no expense,” said Myrtle Greene Mashburn, 83, a first-day student at Cliffside who stills teaches music to its chorus members. According to Mrs. Mashburn, the Haynes’ support for the school and community went far beyond constructing a building, and the investments paid off well. “The state furnished only six months’ teacher pay, and Mr. Haynes at the mill wanted the children to have a better education than that,” she said. “His company paid for the teachers to have two extra months of money, and they had a big hand in selecting the teachers. They always picked the finest teachers that they could get. 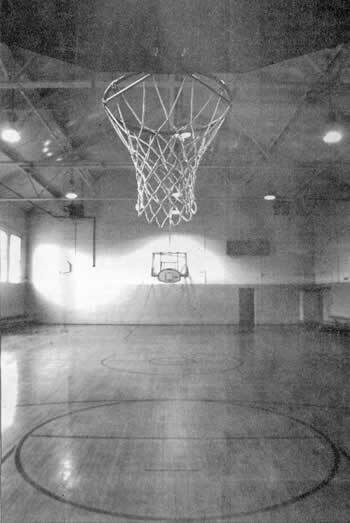 The floor of this gym at Cliffside School is the original hardwood maple. Mrs. Mashburn didn’t live in the mill village, but lived toward Boiling Springs. “My dad was a dairyman and farmer, so he paid tuition for me to come to school over here,” she said. The school played a big part in every aspect of the community, she said. Clyde A. Erwin, the first principal, went on to become state school superintendent. In 1965, Mrs. Mashburn and her late husband bought the house that was built for Erwin, where she lives now. From her kitchen and dining roam, Mrs. Mashburn, can look across the road to the three-story school that has been a part of her life since she was about six years old. Her other love was music, and she thrilled to the pomp and circumstance of the dedication ceremony on April 22, 1922. The band and huge entourage, from high Masons to little children, marched all the way from downtown Cliffside up to the building, she said. 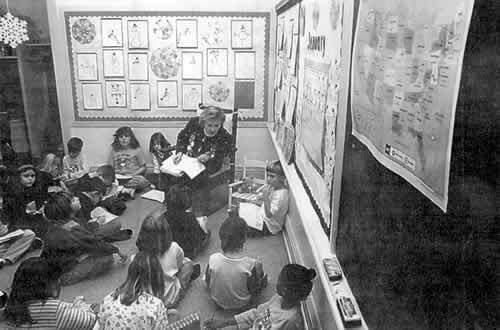 Second-grade teacher Lynn Hack reads to her students who sit by original blackboards and poster boards at Cliffside School. The Haynes family made the town self sufficient, and had control since they owned it all, she said, but no one felt oppressed. Cliffside community and Cliffside school were good places to be, she said. After graduation from Cliffside, Mrs. Mashburn went to Boiling Springs Junior College, now Gardner-Webb University, and came back to teach at Cliffside about 1935. In past years, music featured prominently in school life, and Mrs. Mashburn recalls many programs in the school auditorium. 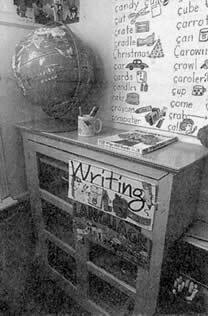 Squirming in the folding, built-in seats—still used today—was frowned on as children sat in chapel every morning from 8:30 to 9:00. Considering the school’s place in the community, as well as its architectural significance, National Register designation is fitting, Mrs. Mashburn said. Most of the structure is poured concrete supported by steel, and is in excellent condition, White said. 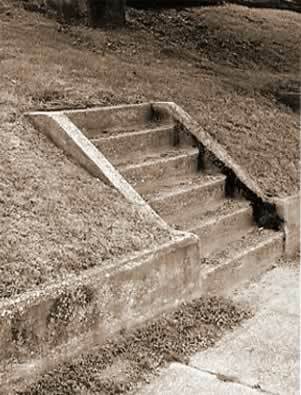 It is so substantial, it served as a Civil Defense shelter for more than 30 years. No inkling of its demise is anywhere evident. In 1937, a kitchen was installed on the ground floor, and in 1944, back-to-back cloakrooms were transformed into restrooms. The school now serves students in grades kindergarten through fifth, 435 this year. All areas of the building are in constant use, and a new cafeteria building is going up on the south side. A state-of the-art elevator installed last year gives students with handicaps easy access to all floors. Behind its classical face, Cliffside is up to date in technology, with computer connections in every classroom and a complete computer lab on the top floor. And after starting out as a company school, it still maintains close ties with Cone Mills, the successor owner to the Haynes family. “We have about 25 volunteers from Cone who come every week as reading buddies,” White said. Reprinted with permission from The Shelby Daily Star. Copyright owned by The Shelby Star.